New Customer "Haven Hope" have just had 5000 1/3 A4 leaflets designed and printed by us. Here is what they said -Dear Trevor,Just a quick note to thank you and...	Read more.. The Blue Ball restaurant asked us to design and make a new aluminum sign for them to fit on their door. It is shown in the picture.Here's what they said about...	Read more..
What’s The Difference Between Lamination and Encapsulation? Lamination and Encapsulation are two different ways of applying a plastic coating to paper or card. However what most people call lamination is actually encapsulation.When you cover a sheet of...	Read more..
Printing Business Cards For Ashdale Lifting Services, Milford Haven, Pembrokeshire. Here is one of the jobs we have printed this morning. A run of 1000 business cards for a local firm with a national reach.Ashdale provide specialist services to the heavy lifting industry...	Read more..
Richard and Jackie have been busy in production printing 1000 double sided account sheets today along with other jobs.The sheets are for Collins Brothers Plant Hire which along with Modern...	Read more..
A2 Year Planers Are Loved By Costain Ltd, Slebech Park. Modern Print have just finished 250 A2 year planers for Costain Ltd's, Slebech park A40 improvement project. Here is what they said about them -"Trevor,Many thanks for the wall planners look really good, plenty...	Read more..
Dyfed-Powys Police are warning people not to fall victim to a telephone scam which is currently targeting people in the area.The force has had a number of complaints from people...	Read more..
1 Stop Financial Services Praise Logo Created Free of Charge By Modern Print, Pembrokeshire. Modern Print have just created this logo free of charge for the Pembrokeshire Bike Ride charity fundraising event. Here is what the organiser said -"Hi Modern Print,Awesome ... Many thanks...	Read more..
Pantone, CMYK and RGB Colour Referencing Systems. Colours have many different referencing systems. The following are probably the only ones that you will ever need to know about, from a printing perspective.RGBThis is the Red, Green and Blue...	Read more.. When a 1 or 2 color job is printed the colours are created using a completely different system to full colour and therefore must be saved differently. With full colour...	Read more..
Ty Rhosyn Guest House Praise Letterheads, Camrose Pembrokeshire. Mark Jempson of Ty Rosyn Guest House sent us the following letter of thanks for designing and printing his new letterheads. "We are absolutely delighted with our A4 letterheads which has...	Read more..
Website photographs are not generally high enough resolution to use in commercial printing. The reason for this is that computer monitors create their images by using different colours of light....	Read more.. Both digital and litho offset printing have their advantages and disadvantages. Like all manufacturing processes it depends on the job in hand, which way it is produced.At its most basic, digital...	Read more..
All customer supplied artwork must be saved in CMYK ( Cyan, Magenta, Yellow and Black ) and not in RGB ( Red, Blue and Green ). 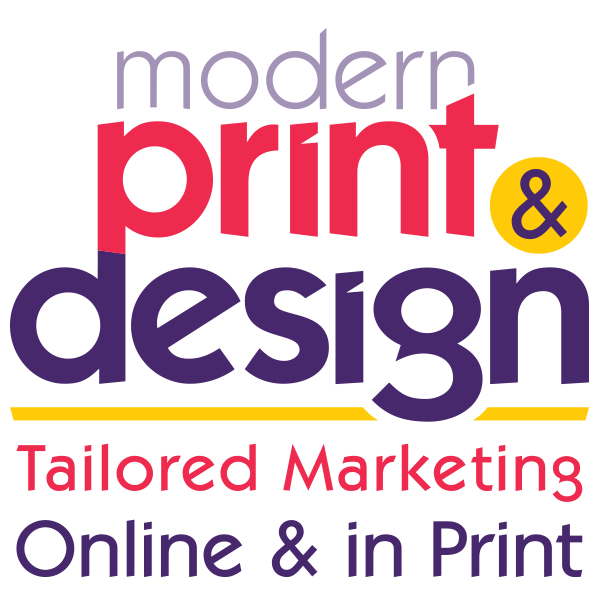 The reason for this...	Read more..
Modern Prints Christmas Party – Bosherston Pembrokeshire. It is that one day of the year that Trevor actually puts his hand into his pocket - yes the annual Modern Print Christmas Party!This year it was held at...	Read more..
We have been made aware that there is a scam targeting businesses that appears to come from ‘Yellow Pages’An organisation called Yellow Pages 24 is phoning businesses to ask if...	Read more..
Why Save Your QuarkXpress PDF Files To Outline? It is very important to save your QuarkXpress PDF files to Outline when sending your artwork supplied printing jobs to any printer. This is because problems do some times occur when a PDF...	Read more.. Here are the standard envelope sizes used in Britain and the paper sizes that fit in themC6 114 x 162mm which holds postcards or A4 sheets folded into quarters.DL 110...	Read more..